Here in Park City, reports lamenting the dismal state of public transportation have, shockingly enough, not been exaggerated. Of course, I wouldn't mention the tardiness of the public transportation system if it hadn't consistently hindered me (and many others) from seeing films. After showing up to the wrong theater for my "Ivory Tower" screening, I experienced the not-so-salient issue firsthand in an attempt to catch a press and industry showing of "Obvious Child." Unfortunately, a 1-mile ride from Main Street to the Yarrow Theater took nearly 30 minutes, preventing me from getting into the movie. This was a recurring trend Saturday. And so as one often does at hectic festivals, I jettisoned my schedule and lined up for my next film, Maya Forbes' '70s-set and inept "Infinitely Polar Bear." 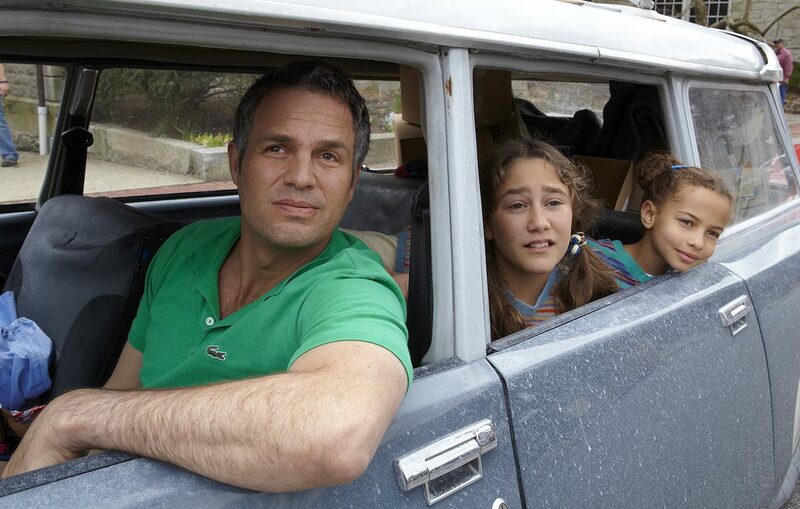 Spanning two years, Forbes' directorial debut tells the story of a family grappling with the mental illness of Cameron (Mark Ruffalo), a bipolar father and husband who recently suffered from a nervous breakdown. The film isn't about his recovery though, at least in the traditional sense. Cameron's wife Maggie (played by Zoe Saldana) has decided to accept a full ride to Columbia business school, invariably leaving their two daughters with him. Rash as that may sound, Maggie puts her absolute faith in Cameron's abilities to be a good and responsible dad while she chases after her professional dreams. While there's an earnest nature to the film that's hard to dislike, "Infinitely Polar Bear" (which I think may be the worst title of the festival, or ever) is loaded with enough manipulative screenwriting and aggravating contrivances to make connecting to the story nearly impossible. For example, Cameron comes from family of money, but is only allotted a certain amount to pay rent on his, as his unbearably bratty and annoying two daughters call it, "s***hole" of a home. While Cameron and his family live in squalor, the elder Stuarts are ensconced in a sumptuous mansion. What amounted to be the most entertaining element of my "Infinitely Polar Bear" screening was not the film itself, but a gentleman who sat directly behind me. Through the last thirty minutes of the movie the middle-aged man loudly snored as if he was lounging on his living room couch. Audience members around him were either unfazed by the booming sound or simply laughed it off. Anyway, as critic and scholar James Rocchi can attest, I did the latter to the point of tears. Whoever you are, God bless you good sir. You managed to single handedly punctuate a borderline dreadful film with your obnoxious snoring. That was a moment I'll probably never forget here at Sundance. On tap for Sunday: "Ping Pong Summer", an interview with Lynn Shelton, "Life Itself" and more. Next Article: The man, not the icon: "Life Itself" premieres at Sundance Previous Article: Sundance report: "Frank," "Cold in July" and "Blue Ruin"